Well, I'm aiming to enter the Natural History Museum's Wildlife Photographer of the Year competition. I hope that it will teach me a lot about photography, by seeing other people's photos and working towards becoming the best photographer I possible be. I'm looking forward to seeing the results of the TPOTY competition, and when I get the results, I will post them. If you want to talk about the photos that I submitted to TPOTY, comment on the post, or send me an email. 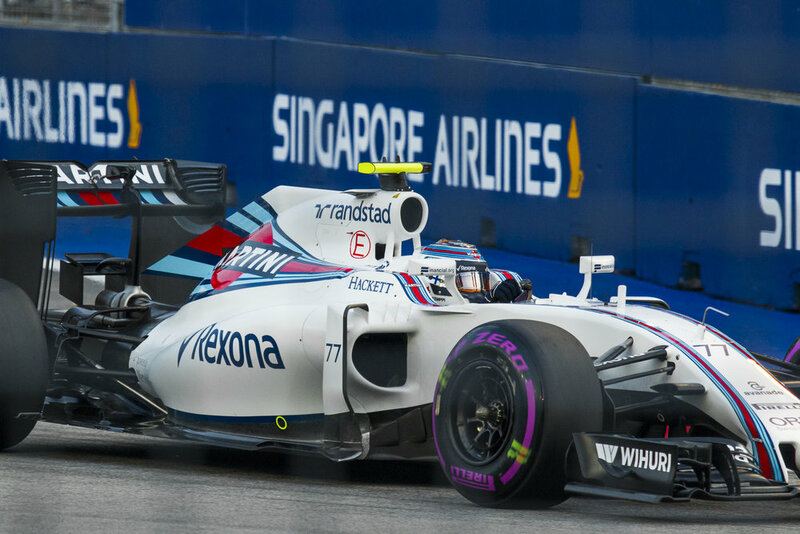 The Singapore Grand Prix finished over a week ago, but Singapore is still awash with the celebration of F1. Race weekend was full of avid fans jostling to get the best spot and to catch a glimpse of their favourite driver. I was there, in the middle of the action to see the blur of metal and tire smoke. 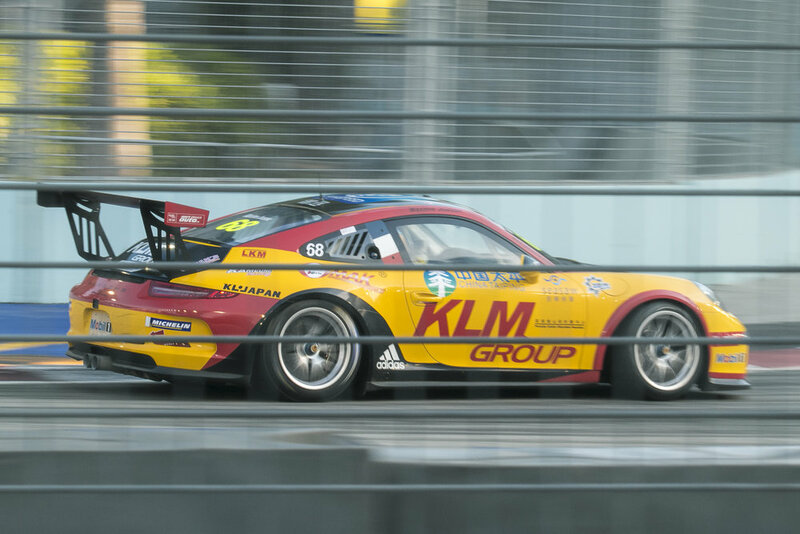 Often, the only way to see the cars and their drivers was through my lens. 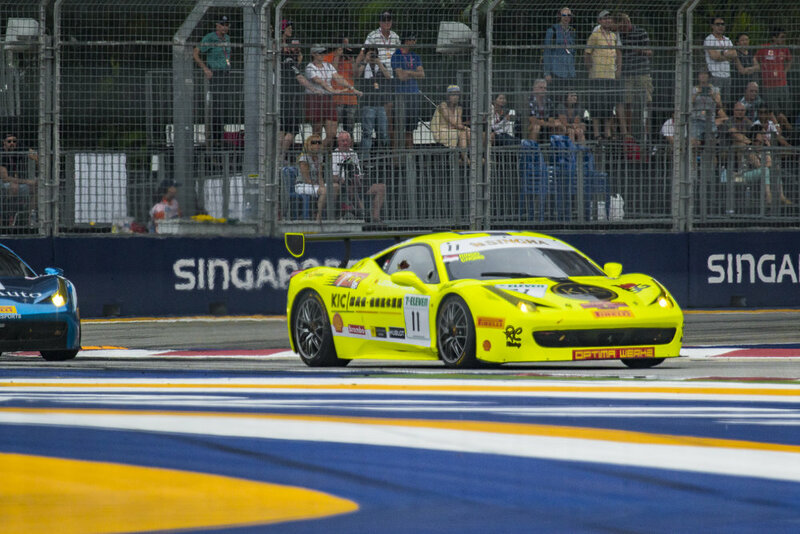 The most fiercely competitive race was, without a doubt, the ferrari challenge. Strong competitors, racing neck and neck in cars that were barely different. There was considerable amounts of performance issues, and when the drivers went down the straight at full speed, they braked so vigorously at the end that their brake discs were alight with a full pedal-to-the-metal red glow.There were quite a few accidents, with one competitor losing a large amount of body work. The fans went crazy to see a glimpse of the cars racing neck and neck. Having viewed the race from several different positions, turn three was the best viewing place for the Grand Prix. Moving on to the highlight of the race weekend: The Formula One Grand Prix. In my opinion, practice session 3 was the most competitive race, as the drivers were testing how hard they could push the cars and themselves before the stress began to show. Many of the drivers suffered issues, and there was, of course, the hilarious monitor lizard on the track. 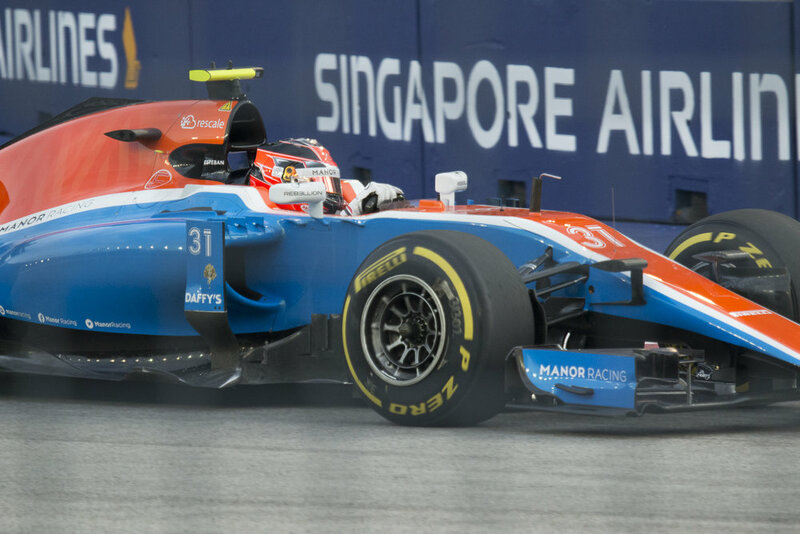 Many a driver found the Singapore Marina Bay Grand Prix track very difficult, because, unlike many other courses, Singapore's track incorporated many left hand turns and as such caused drivers to stay on their toes. Spain is a country full of rich heritage and beautiful landscapes, and my favourite place to take photos is Plaza España. Some of you might have heard the name before, as one of the locations for shooting in the detested Star Wars prequels. Despite this, Plaza España continues to be a frequent spot for weddings, tourism and dances. On the day I went, it was very cloudy, but I still managed to get a few good shots. My favourite photo from that day was when I spotted the beautiful koi swimming in the reflection of a tower. Plaza España features many such amazing compositions that lead to intriguing shots. And if you fail to get any of those pictures that you wanted, and you've exhausted all other options, you can attempt to replicate the shot of Anakin and Padmé walking while being followed by R2-D2. I recently went on a road trip in the Golden State, and I saw quite a few beautiful sights. One of my favourite places was Bixby bridge. 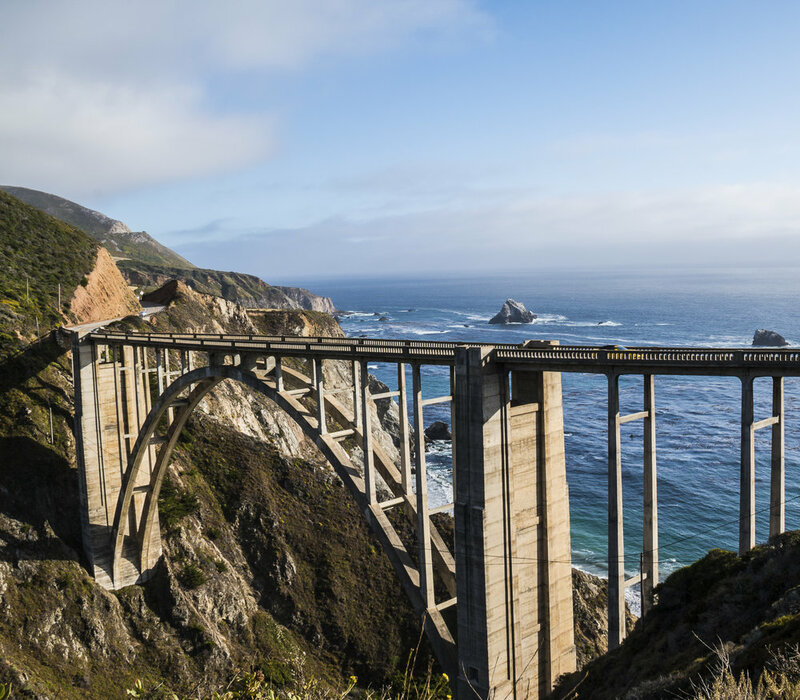 Now, you might have seen Bixby bridge before, but you don't know where. Bixby bridge is known as one of the most photographed places on the west coast, and a popular site for car commercials. 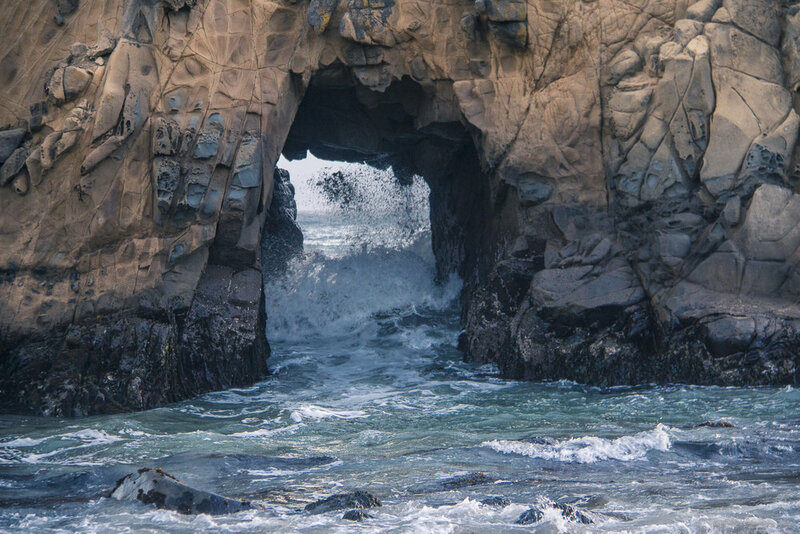 A little bit further into Big Sur, and you'll see Pfeiffer beach, which has quite a few interesting rock formations. Pfeiffer beach has one particularly interesting formation, where, if you're lucky enough, you can catch the sun shining through at sunset. Now, on the way back from Pfeiffer beach, I stopped and got out and looked at the stars. Being as remote as it is, there was very little light pollution to block the Milky Way, and it was beautiful. In a big city, you usually see quite a few stars right? A few hundred if you're lucky. But out there, the whole night sky was filled with the light of a billion stars, and if you looked closely you could see the edge of our smoky galaxy. I really recommend a drive around Big Sur, and even if you're not an avid photographer, it looks just as good in person. Thanks for reading my blog! I just got back from taking some photos, and learning more about photography. I took my first city photos, and I believe that it provides a different feel from the nature and landscape photography that I normally do. Anyway, from now on, I'll be posting every week. 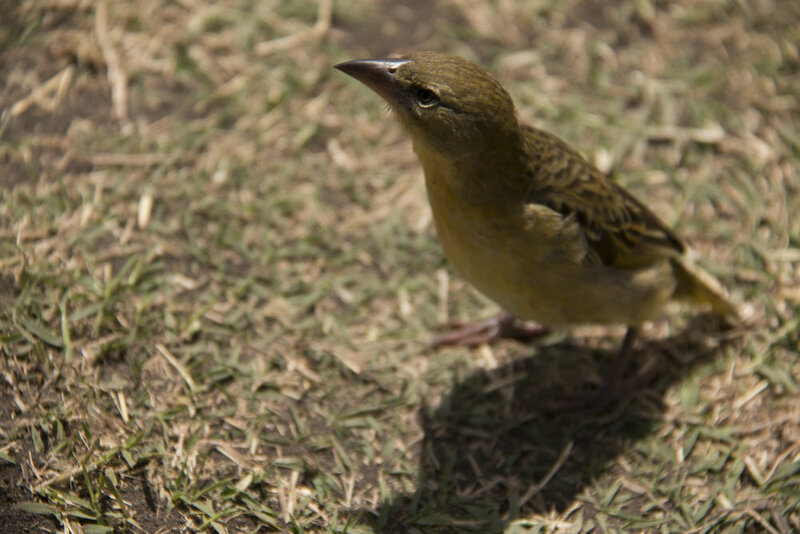 This week's photo is of a small sparrow from the Ngorongoro national park. This picture has a bokeh effect. The bokeh effect is the term given the the effect when a photo is in sharp focus for part of the picture, but in soft focus for the rest of the picture. The bokeh effect is commonly used by photographers from National Geographic. How is the effect created? The bokeh effect is created by shooting on a wide aperture, getting your subject (this will be in sharp focus) far away from the background (this will be in soft focus). Then focus of the subject. Why did I use this effect? This effect is good for highlighting parts of your picture, or (as shown above) you can make the photo more interesting and progressive. The bokeh effect is also good for blocking out parts of your picture.